A method of surface functionalization of silica nanoparticles was used to prepare a kind of stable nanofluid. The functionalization was achieved by grafting silanes directly to the surface of silica nanoparticles in silica solutions (both a commercial solution and a self-made silica solution were used). The functionalized nanoparticles were used to make nanofluids, in which well-dispersed nanoparticles can keep good stability. One of the unique characteristics of the nanofluids is that no deposition layer forms on the heated surface after a pool boiling process. The nanofluids have applicable prospect in thermal engineering fields with the phase-change heat transfer. Nanofluids, proposed firstly by Choi , are dispersions of nanoparticles (metals, oxides, nitrides and carbon materials etc.) in base fluids (water, ethylene glycol and engine oil etc.). They have wide ranges of applications, e.g., to enhance heat transfer [1–11], as magnetic nanofluids  and other special applications [13–18]. However, long-term stability of nanofluids is a major concern for the engineering applications [3, 10, 17]. Nanoparticles tend naturally to aggregate and sediment in the base fluid. Also, stable solution with large volume concentration is not easy to obtain. Therefore, technique breakthroughs are needed to produce well-dispersed and long-term stable nanofluids. Use of functionalized nanoparticles is a promising approach to achieve long-term stability of nanofluid. Functionalization of silica nanoparticles has been reported earlier in literature [19–24]. The current authors have reported earlier on effects of nanoparticles in nanofluid on thermal performance in water-CuO system . The present work reports on the synthesis of functionalized silica (SiO2) nanoparticles by grafting silanes directly to the surface of silica nanoparticles in original nanoparticle solutions. Nanofluids can then be prepared by just adding water into it. Two kinds of original silica nanoparticle solutions were used to make functionalized nanoparticles. One was a commercial nanoparticle solution, ludox TM-40, purchased from Aldrich company in USA. The ludox TM-40 (with the silica nanoparticle mass concentration of 40% in water, the average diameter of nanoparticles of about 30 nm) contains NaOH, surfactants and so on to stabilize the silica nanoparticles in the water solution. The other was a self-made nanoparticle solution prepared by the two-step method. Silica nanoparticle powders were firstly dispersed into deionized water, and the suspension was then oscillated in an ultrasonic bath for 12 h. Silica nanoparticle powders with an average diameter of about 30 nm were commercial products of gas condensation. Two silanes of 2-[methoxy (polyethyleneoxy) propyl] trimethoxysilane (MPPTS) and (3-glycidoxylproyl) trimethyoxysilane (GPS) were received from Gelest company in USA and used without further purification. MPPTS-functionalized nanoparticles were synthesized simply by grafting directly a certain amount of MPPTS to silica nanoparticles in silica solutions. As an example, 25 g of Ludox TM-40 was diluted with 50 g deionized water. To the silica suspension, 1.45 g of MPPTS was added dropwise under vigorous stirring at room temperature. Generally, the mass ratio (defined as the ratio of the mass of the silane to that of the silica nanoparticles in silica solutions) ranges from 0.1 to 1.0. The entire mixture was heated to 70°C and stirred and oscillated vigorously for 48 h at that temperature. The obtained solution was then dialyzed in the snakeskin dialysis tubing (3.5 k MWCO, purchased from Pierce) with deionized water as the dialyzate for 48 h and thereafter freeze-dried to give white fine nanoparticle powders. GPS-functionalized nanoparticles were synthesized in a similar manner. Generally, the mass ratio ranges from 0.1 to 1.0. As an example, 1.35 g of GPS was diluted with 10 g of deionized water, and the pH value of the solution was adjusted to 2 with dilute HCl. After vigorous stirring for 4 h at room temperature, its pH value was adjusted to 10 with dilute NaOH. Meanwhile, 25 g of Ludox TM-40 was diluted with 40 g of deionized water. The obtained GPS solution was then added dropwise to the silica suspension under vigorous stirring and oscillation and kept at 70°C for 48 h in an ultrasonic bath. The obtained solution was then purified by dialysis and freeze-dried in the same manner shown earlier. Obtained fine nanoparticle powders were the functionalized nanoparticles. To investigate the reaction degree of the silica and the silane, TGA instrument (TA Q5000) was used to analyze how many silanes are grafted on the silica nanoparticles. The fine powders of functionalized nanoparticles were burnt at 700°C in a TGA instrument, and the organic components on the surfaces of the functionalized nanoparticles were burnt away. The TGA instrument can record the mass loss of the functionalized nanoparticles during the whole process. Table 1 shows the mass loss percentage caused by the organic components for functionalized nanoparticles at different mass ratio. The mass ratio is the ratio of the mass of the reacting silane to that of the reacting silica. The mass loss is the mass loss percentage of the functionalized silica before and after the TGA process. Results show that the mass loss increases with the increase in the reacting mass ratio. More silanes can be grafted on the silica nanoparticles at larger mass ratios. At the same mass ratio, the nanoparticles functionalized with MPPTS have a larger mass loss compared to those with GPS. After the functionalization process, nanofluids were prepared by the two-step method using functionalized nanoparticles and deionized water. Functionalized nanoparticles were dispersed into deionized water, and the solution was thereafter vigorously stirred and oscillated in an ultrasonic bath for 12 h at room temperature (the solution can also be standing for 12 h with the environmental temperature of 50°C). Then, well-dispersed nanofluid can be prepared without any surfactant used. Functionalized nanoparticles can still keep dispersing well after the nanofluid has been standing for 6 months and no sedimentation was observed. The dispersing state of functionalized nanoparticles after 6 months is still under investigation and will be reported later. Figure 2a and 2b are the transmisson electron microscope (TEM) pictures of nanofluids consisting of nanoparticles before and after the functionalizing process (prepared with ludox TM-40 and MPPTS, the mass ratio is 0.123), respectively. 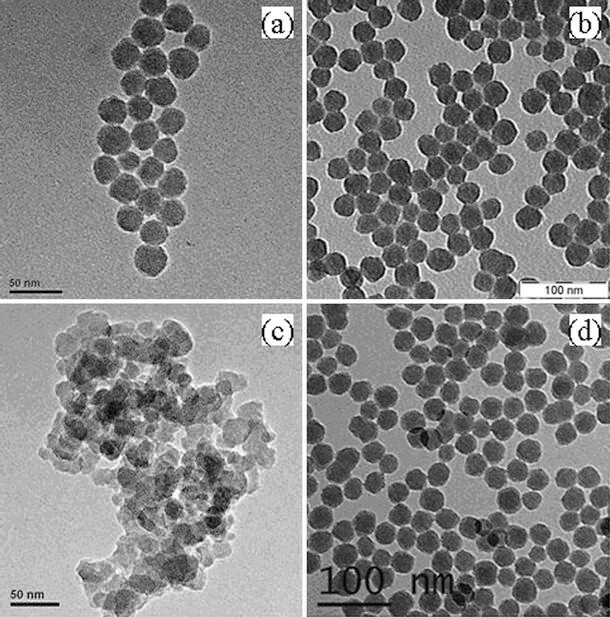 Figure 2c and 2d are the TEM pictures of nanofluids consisting of nanoparticles before and after the functionalizing process (prepared with self-made nanoparticle solution and GPS, the mass ratio is 0.115), respectively. The nanoparticle mass concentration is 1.0%. As is shown, functionalized nanoparticles have no aggregation and can disperse well. In the present study, the mass concentration of the functionalized nanofluid (nanofluids consisting of functionalized nanoparticles) prepared with commercial silica solution can go beyond 50%, and the other functionalized nanofluid prepared with self-made silica solution can reach maximally 10% under the condition that no aggregation occurs. Dynamic light scattering (DLS) measurement of functionalized nanoparticles was taken using a Malvern Zetasizer Nano particle characterization system. Diameter distribution of functionalized nanoparticles (prepared with self-made and GPS, the mass ratio is 0.115) is indicated in Fig. 3. The average diameter of the functionalized nanoparticles is about 30 nm, which is in consistent with the result shown in Fig. 2. An applicable prospect of functionalized nanofluids is in the phase-change heat transfer. Up to now, almost all phase-change heat transfer studies of conventional nanofluids (consisting of nanoparticles without functionalization) reported that nanoparticles fouled on the heated surface after the boiling process. A thin porous layer formed on the heated surface and affected strongly the boiling characteristics. In order to investigate the heat transfer characteristics of functionalized nanofluids in the phase-change heat transfer, a pool boiling experiment using both the conventional nanofluid and the functionalized nanofluid was carried out on a smooth copper surface positioned horizontally. The experimental system and the procedure were the same as author’s previous study . The copper surface had an average roughness of 194 nm. The experiment was carried out at atmospheric pressure with the fluid temperature of about 100°C. The copper surface was kept heating for 3 h with the heat flux of about 500 kW/m2. Figure 4a shows the SEM picture of the heated surface before the boiling experiment. Figure 4b and 4c show the SEM pictures of the heated surface after the boiling experiment using both the functionalized nanofluid (consisting of functionalized nanoparticles prepared with self-made nanoparticle solution and GPS, the mass ratio is 0.115) and the original self-made nanofluid. The mass concentration of nanoparticles in the two nanofluids is 1.0 wt%. It was found that no porous fouling layer formed on the heated surface after boiling process using the functionalized nanofluid. Only scattered functionalized nanoparticles attach on the heated surface. The nanoparticles can be easily flushed away by water. However, a fouling layer of nanoparticles forms on the heated surface after the boiling experiment using the original self-made silica solution. The fouling layer cannot be flushed away by water. The development of this layer is a direct consequence of boiling of nanofluids. The evaporation of nanofluids with subsequent settlement of unfunctionalized nanoparticles initially contained in it could be the reason for the formation of this layer. Nanoparticles without functionalization cannot easily resolve in the base fluid. It is not the case, however, for functionalized nanoparticles since their improved solubility. Since no fouling layer exists after the boiling process, the functionalized nanofluid can be applicable in heat pipes that utilize the phase-change heat transfer of working fluids to dissipate heat. This is quite helpful for the long-term stable running of heat pipes since the heated surfaces keep the same and the nanofluid keep dispersing well. Further experiment is undergoing for better understanding the application of functionalized nanofluids in heat pipes. In addition, the well-dispersed and stable functionalized nanofluid can be applicable to microchannels in electronic devices and compact cooling modules to dissipate heat more effectively. It is also useful for enhancing the mass transfer, such as the oxygen absorption in chemical and biochemical industry, ammonia absorption in the refrigeration technique. The Derjaguin–Landau–Verwey–Overbeek (DLVO) theory of colloid stability is commonly used to describe the particle–substrate interfacial interactions in the base fluid . In this theory, both an attractive force and a repulsive force existing between particles account for the stability of particles in the base fluid. The attractive force, also called the van der Waals force, includes attractions between atoms, molecules and surfaces. It grows with the length of the nonpolar part of the substance. The van der Waals force is relatively weak compared to normal chemical bond. The repulsive force arises from the overlap of electrical double layers that appear on the surfaces of particles when they are placed into the base fluid. The overlap of their double layers interrupts their own electrostatic stability and the electrostatic repulsion causes the repulsive force, when two particles get too close together. Particles in the base fluid can keep stable if the repulsive force is stronger than the attractive force. Otherwise, particles will aggregate. Serious aggregation of particles may lead to the sedimentation of particles. Another theory named as the steric stabilization effect is also a key explanation for the stability of particles in the base fluid . The steric stabilization effect arises from the fact that polymers gathering on the surface of nanoparticles occupy a certain amount of space. If nanoparticles are brought too close together, the space is compressed. An associated repulsive force helps separate nanoparticles from each other and restrains the aggregation of nanoparticles. Adding ions to the nanofluid according to the DLVO theory can enhance the electrostatic repulsion of nanoparticles. Adding surfactants to the nanofluid is helpful for the steric stabilization effect. These are ways how ludox TM-40 is treated to help the silica nanoparticles stabilize in the water solution. In ludox TM-40, anions (like OH−) are used to stabilize silica nanoparticles. But nanoparticles may be applied in acidic or neutral conditions. Also, the steric effect by surfactants may be broken down when the nanofluid is heated or the Brownian motion of nanoparticles is extremely strong. A better way, as is indicated in this paper, is to graft polymers onto the surface of nanoparticles. The grafting is achieved with the covalent bonding, which is quite stable and not easy to be broken down. The chosen silanes can react with the silica nanoparticle. The grafting silanes on nanoparticles have the steric stabilization effect to stabilize nanoparticles. The covalent bonding “Si–O–Si” is stable chemical bonding to facilitate the application of functionalized nanoparticles regardless of the working conditions, like the heated case. Besides, to achieve a better and larger solubility of nanoparticles in water, silanes containing polar structures are chosen. Due to the solubility rule of similarity, polar substances are soluble with each other. The polar structure grafted on the surface of the silica nanoparticles increases the solubility of functionalized nanoparticles in water (which is also a polar substance). The mentioned MPPTS and GPS are two of those. The nanofluids with functionalized nanoparticles gain the merits of good dispersing, stable bonding, no surfactants needed and large solubility. Similar methods may be used to other nanoparticles for heat transfer applications. The functionalized nanofluid made by commercial product of ludox TM-40 can prepare the nanofluid with a higher nanoparticle mass concentration. However, using the functionalized nanofluid prepared by the cheap self-made silica solution is a more economic way for industrial application due to its cheap price and large producing capacity. A method of surface functionalization of silica nanoparticles to prepare a kind of functionalized nanofluid was presented. The functionalization was achieved by grafting silanes directly to the surface of silica nanoparticles. Then, the obtained functionalized nanoparticles were used to prepare the nanofluid. The nanofluid with functionalized nanoparticles can keep long-term stability and very good dispersing. Functionalized nanoparticles can still keep dispersing well after the nanofluid has been standing for 6 months and no sedimentation is found. One unique characteristic of the functionalized nanofluids is that no porous sediment layer forms on the heated surface after boiling process.